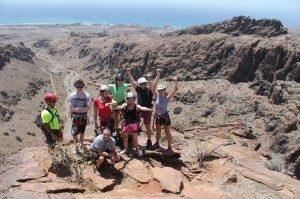 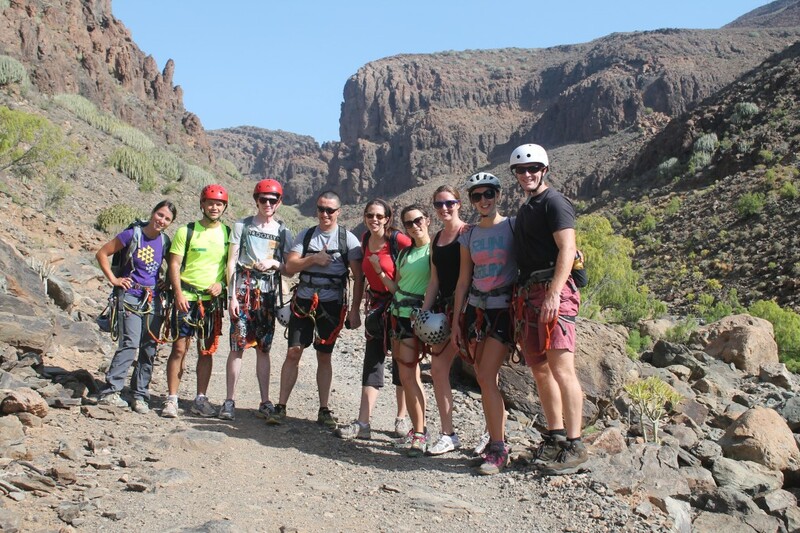 Aventura en Canarias accompanies you on this wonderful experience! 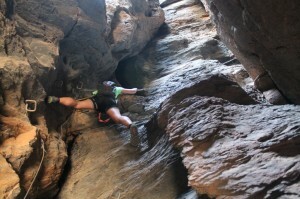 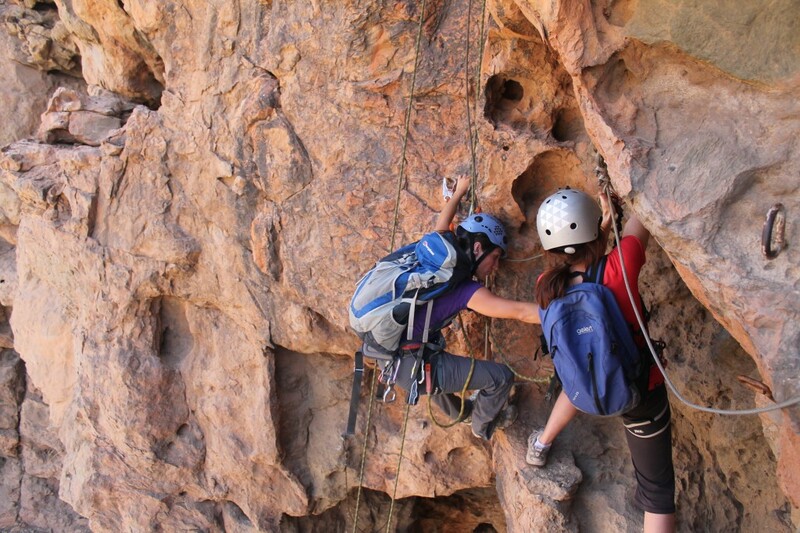 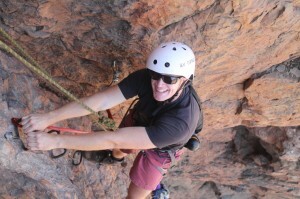 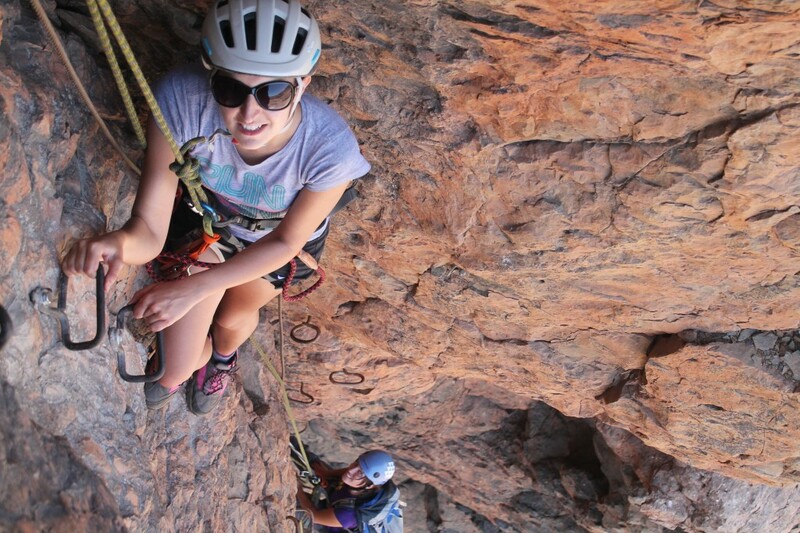 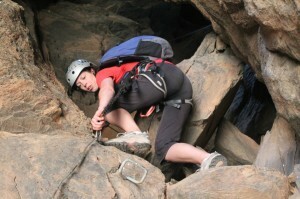 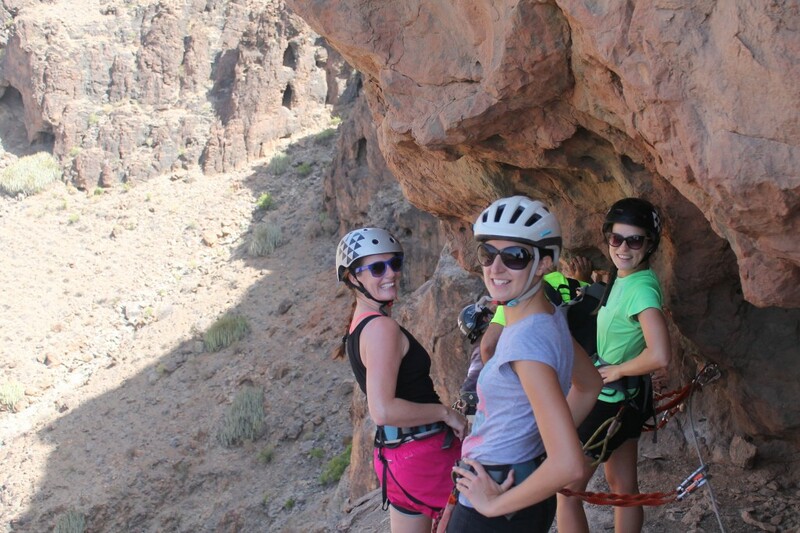 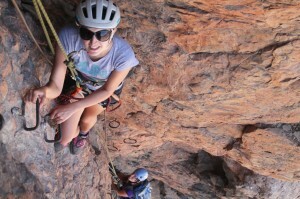 The ferrata First Moon is located in the canyon Berriel typical canyon south of Gran Canaria. 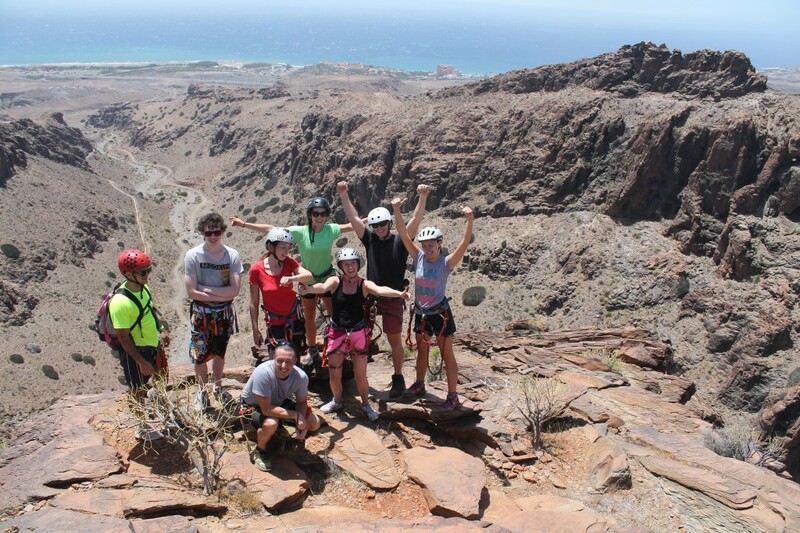 Its barrel-shaped structure and vegetation dominated by Tabaibal-Cardonal, make this spot a spectacular place which can be appreciated from the top of this ferrata. The ferrata arrived after a nice walk along a dirt track that runs along the bottom of the ravine. The path begins with a gentle journey through the wall, a vertical section but very simple and pleasant voyages between caves to the fork of the exhaust, which allows us to neglect should go with undecided novice. 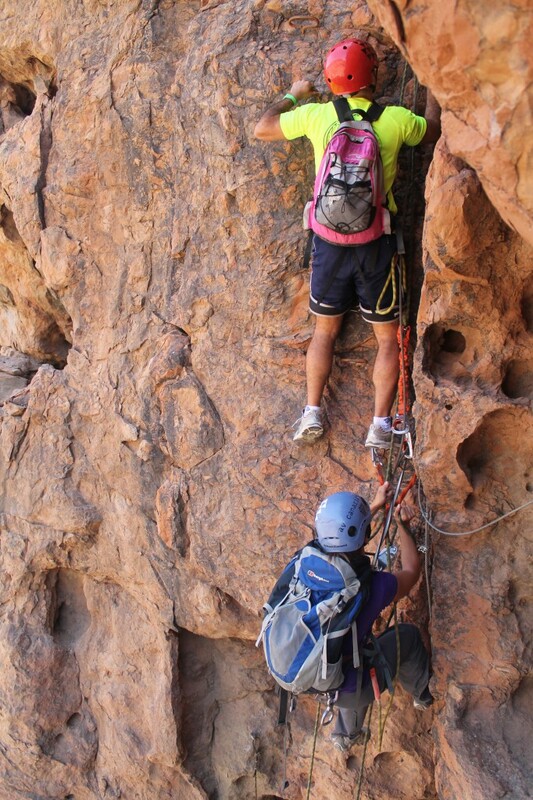 If we choose to continue to the summit we will face a small vertical step with spectacular views vacuum where it tests the vertigo of bolder ferratero. From here, the increased presence verticality. 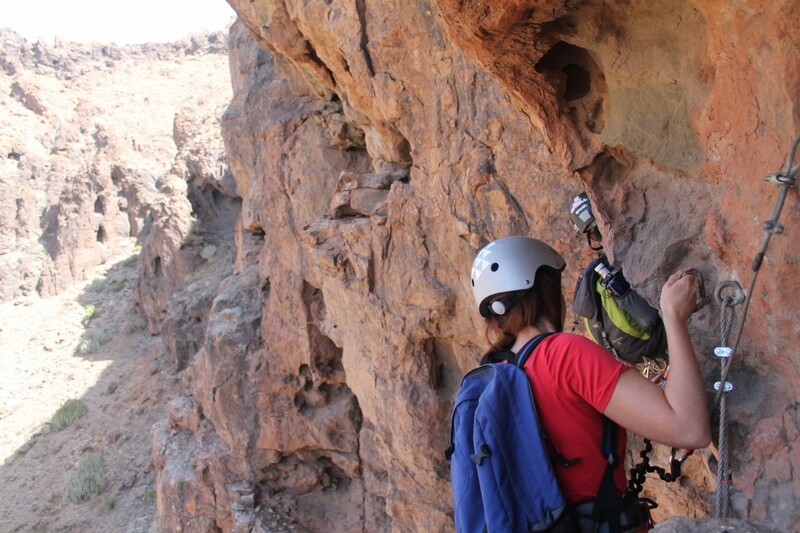 Pass by stunning cacti and capricious geological formations, crossing a ridge enough air, which also leads us to a vertical aerial plate. 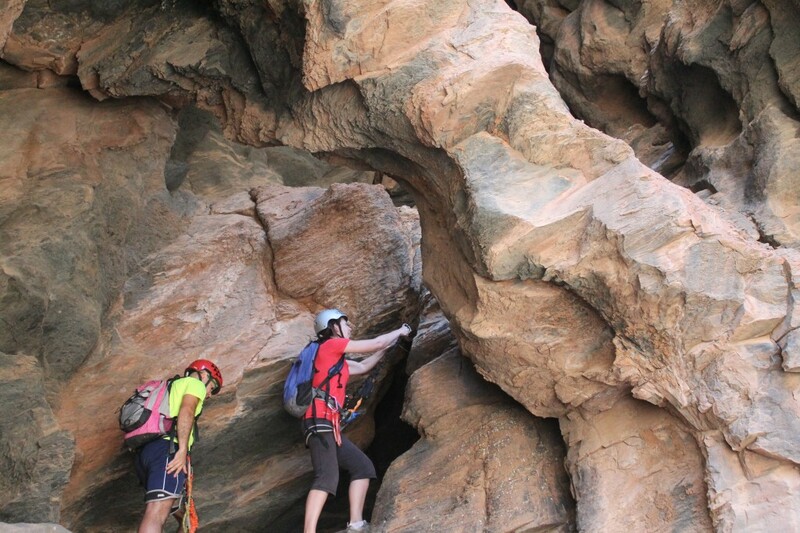 One of the most interesting moments of the ferrata is when we go into a stunning cave whose walls narrow climb to go to a natural vantage point from where we can appreciate the canyon Berriel.